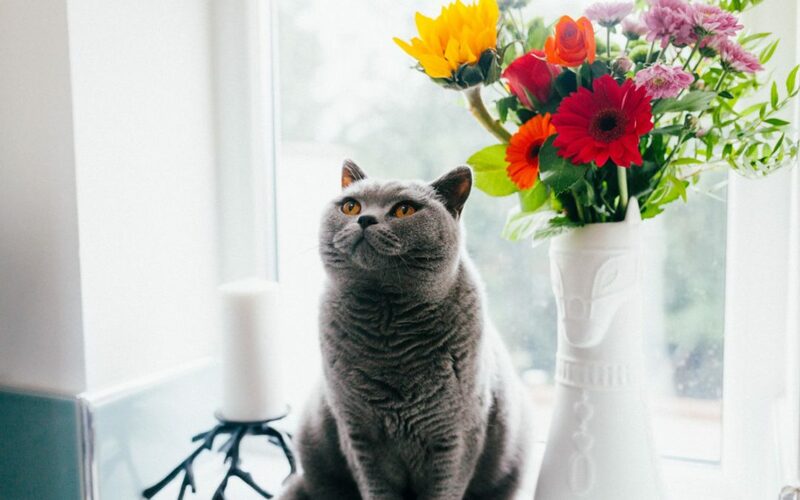 While WE know that it’s not safe for our feline friends to be given license to roam outside, some cats just don’t want to hear it. 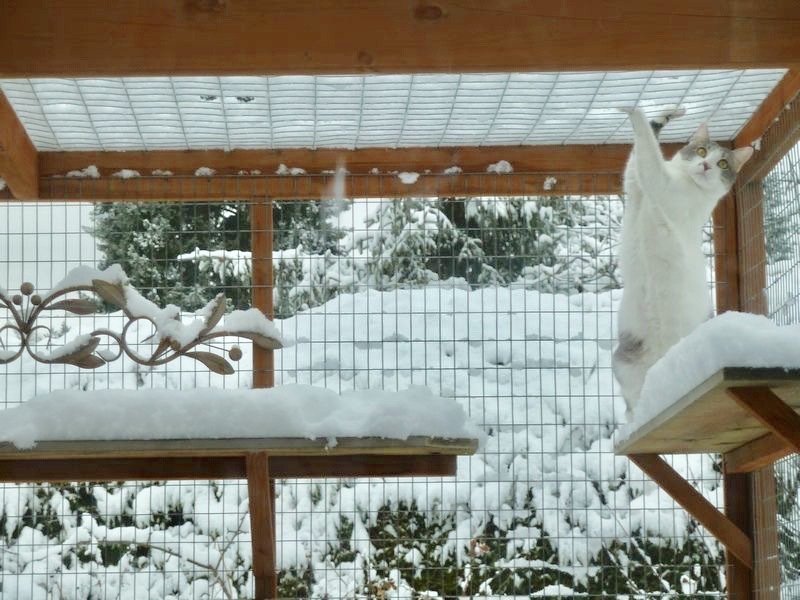 Find out how these two wayward kitties decided to stop door-dashing and enjoy life in a catio. 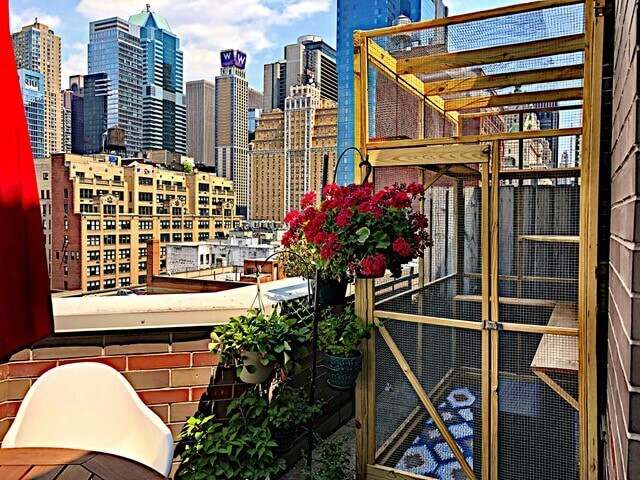 With the New Year here, we naturally ask ourselves, “what’s next?” and “what could be better in my life?” As you’re reflecting and exploring possibilities for your New Year’s resolutions, here are a few simple things to consider. 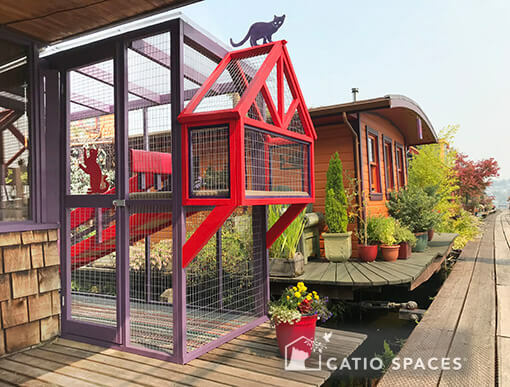 Catio Spaces takes on urban catios to show that limited outdoor space and high-rise cats can still combine in the purrrfect safe outdoor space. 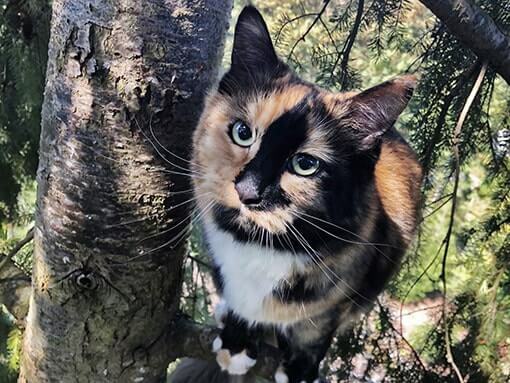 From New York to Seattle, cats are enjoying the high life! 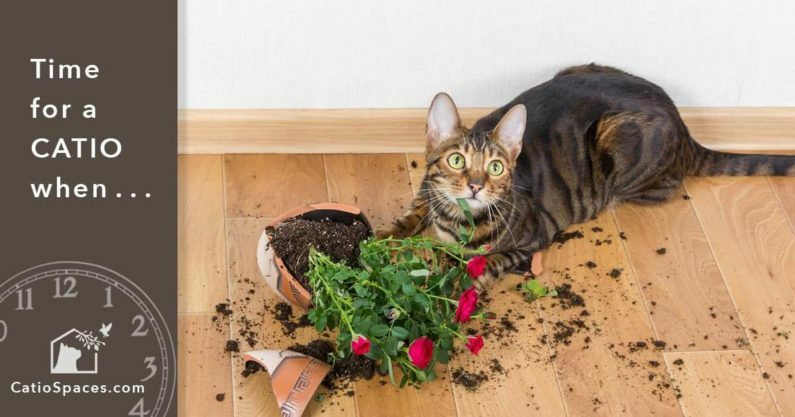 What happens to wobbly kitties on a houseboat? 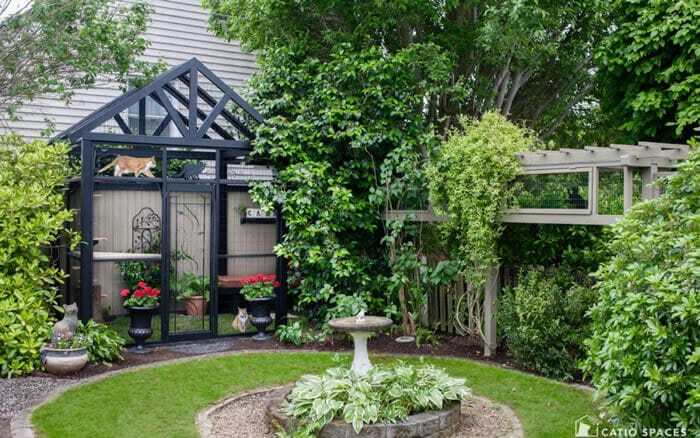 They get a catio, of course! 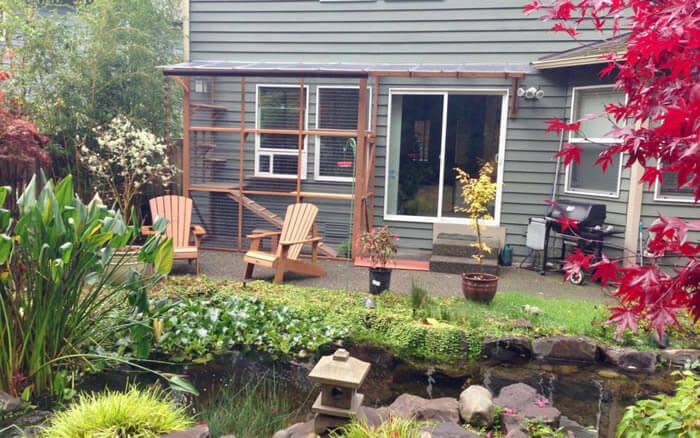 Check out this unique catio designed for safety and enrichment for two special cats with cerebellar hypoplasia. 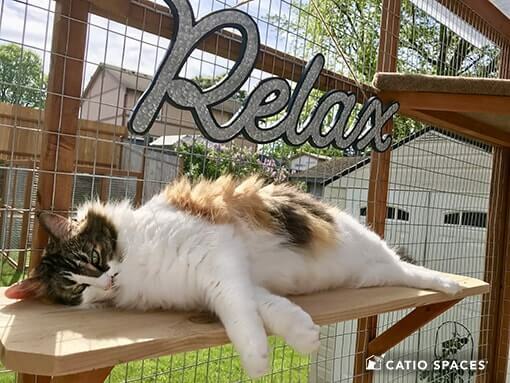 Here’s the material we use to keep cats safe in our catios and why we think it’s the best choice. 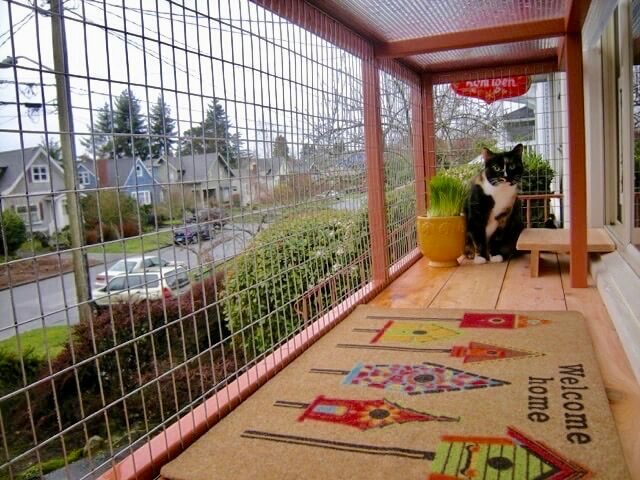 These super creative catios are purrfectly customized for the cats and cat parents that use them. 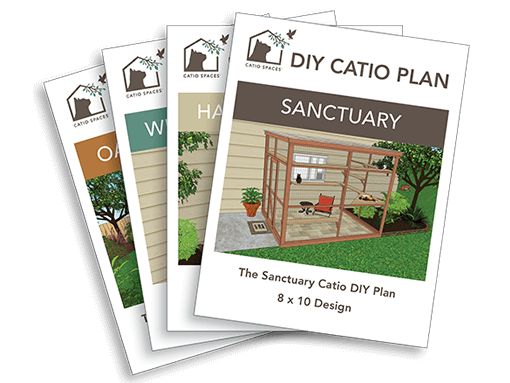 Check them out and start dreaming up your catio today!